Antonin .B is éco-chic. Is that an excuse to raise prices? Our definition of eco-chic is not primarily based on price. Prices are only the consequence of the policies put in place to achieve the goals of quality and ethics we have set. For Antonin .B, eco-chic is a wonderful alliance between ethics and high expectations. It means creating a product that respects humans and the environment, while maintaining high standards in terms of the quality of the formulation, the overall experience with the product and a touch of glamour. It is a concept that leaves little room for compromise, and that’s precisely what we are interested in. Do Antonin .B’s products contain endangered plants? No! Using endangered plants would be contrary to our principles! We have respect for our natural ecosystems. Our goal is certainly not to destroy or damage Nature like parasites, but rather to respectfully reap benefits from it. That is why you will not find palm oil from deforestation in our products; or rare plants (unless they are derived from a controlled sustainable mode of agriculture). Are Antonin .B’s products tested on animals? We believe that pleasure for some should not mean suffering for others. And that includes animals. Furthermore, at Antonin .B, we do not use questionable or dangerous processes that would justify the need to test the repercussions of any chemical. Our products are natural, healthy and respectful of everyone. What can I expect after the first use? Natural products are made to deliver their benefits over time. After the first use, you will notice some improvement in hair shine and a slight improvement in the texture of the hair. More regular use will be necessary before you see the full effects of the products. Are Antonin .B’s products suitable for pregnant women? Most Antonin .B products contain essential oils. For this reason, we recommend, as a precaution, not to use Antonin .B products if you are pregnant or believe you might be. If in doubt, consult your doctor or pharmacist. Are Antonin .B’s products suitable for children? Most Antonin .B products contain essential oils. 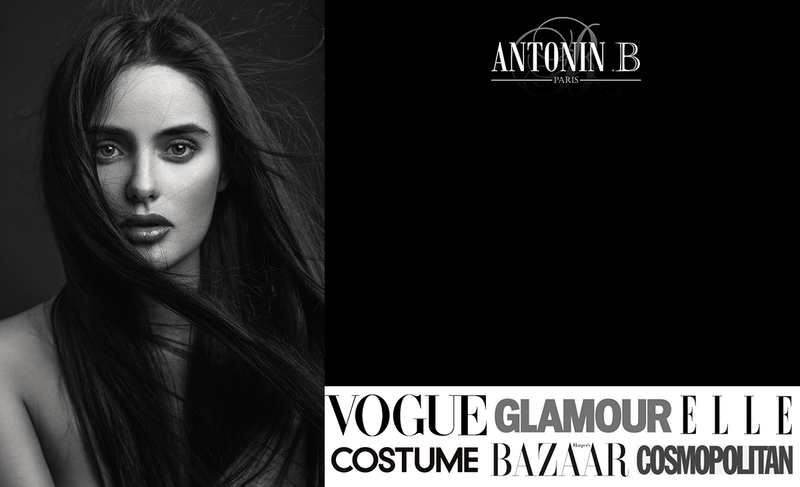 For this reason, we recommend, as a precaution, to only use Antonin .B products for children over the age of 3. If in doubt, consult your doctor or pharmacist. Do Antonin .B’s products contain preservatives? The Desert Serum and Intense Honey Butter are water free formulations that do not require antimicrobial and antibacterial agents. However, these two products are delivered in an innovative, high-performance packaging and contain antioxidants that allow them to keep their freshness and effectiveness for many months. All this, while avoiding harsh, synthetic or controversial preservatives. After opening, we recommend that you store your products away from light and heat and use them within 12 months. Do I have to create a PayPal account to pay with PayPal ? You can pay by card, Visa or Master Card without creating a PayPal account. your information is not stored by PayPal and Antonin .B does not have access to your data. PayPal is only one of the payment platforms used by Antonin .B to allow us to process your orders. For delivery in mainland France, the expected time of delivery is 2 to 5 business days (Monday to Friday, excluding public holidays). To the French Overseas Territories, please expect an average of 5 to 7 business days. In the European Union and the rest of the world, delivery times usually vary between 3 to 8 business days. Beware, however, outside the European Union, there is a possibility that your parcel could be checked by Customs in your country, leading to delays and possible custom fees, which are not related to Antonin .B and remain your responsibility. Shipping costs range from $2.95 up to $9.95 worldwide. The costs are automatically updated in your cart when you enter your shipping country. For a detailed table, please have a look at our Shipping page.